Hey busy homeschooling mama! Do you need some help with your daylight hours? Well, I have the book for you! 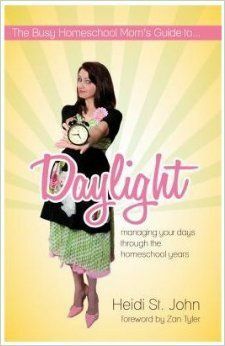 The Busy Homeschool Mom’s Guide to Daylight from Real Life Press is a wonderful book that I was able to read and now I can’t wait to share my review with you! Heidi St. John has written a book just for us! I was able to read the eBook and couldn’t put it down! I suppose it helps that it was on my Kindle and I could read one handed while feeding Baby Girl, but either way, I was laughing and agreeing with over half of this book. When I wasn’t laughing or agreeing, I was writing notes to use in my daily life. With close to 200 pages, Heidi covers it all. 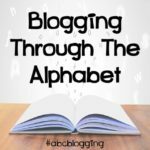 Starting with the Intentional Daylight and going through Organized, Scheduled, Hungry, Discouraged, Consolidated, Wasted, and finally Surrendered Daylight. There is nothing that is missed! Heidi is real and down to earth with everything she talks about. She makes sure that all moms, especially those who are busy and need this book, will be able to read it and love it. With the way this book is written, you know that Heidi has been there and done that. She is not just writing this book to make you feel better, she has walked this road and really wants to help us make the best of our daylight hours! She has not just written this book, but she has written it to YOU…the reader of it! Each chapter is focused on one type of daylight at a time. There is no need to rush through the book. Just take it one page, and one chapter at a time. Once you finish one chapter, put it to work in your daily life. Use those daylight hours you just learned about and try what you are told to try! Small steps mama! It will work just fine! The first chapter is Intentional Daylight…your need for a POA (plan of action) ASAP. 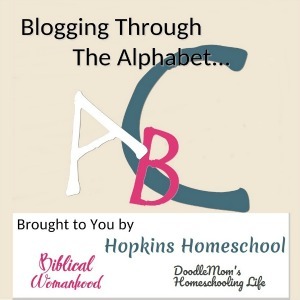 Without a POA, you have nothing…Like Heidi asks, why is it that you do this crazy thing called homeschool? Something is making you want to do this, and you need to use that to help you plan your days! Organized and Scheduled Daylight…yeah, this is where I am learning! When you compare yourself to others, this is mainly that area you compare. Do you know where you stuff is and what do you do all day? Heidi takes the time to show you examples of schedules. She tells you how wonderful they are and she reminds you that if this isn’t you, don’t worry! Each day is going to be different. 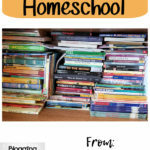 You won’t use the same schedule during the whole time you are homeschooling. 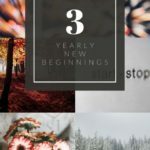 You need to change your schedule to match the season of life you are in at the time. Hungry…yes, that is a busy time during the daylight hours at this house. Now my favorite part of this whole chapter is being told not to worry about breakfast…It does not need to be a beautiful picture of a breakfast. It can be cold cereal, your kids will be alright. This takes a load of this mom’s shoulders! I hope it does the same for you! There is always Discouragement in our days. Mama, this homeschooling thing is hard! We have to remember that some days are better than others and to push on! I could go on and on. This book is one that I will read over and over again. This is a book that all mom’s need. Heidi does a wonderful job of making sure we know that we are not alone. I have wanted to read this book for a while and I have finally done it. My one recommendation for you…don’t wait as long as I have! Read this book right now!! Real Life Press offers many other books as well! 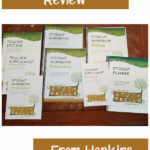 You need to check out some of these reviews by the other families and see what they have to say about them!